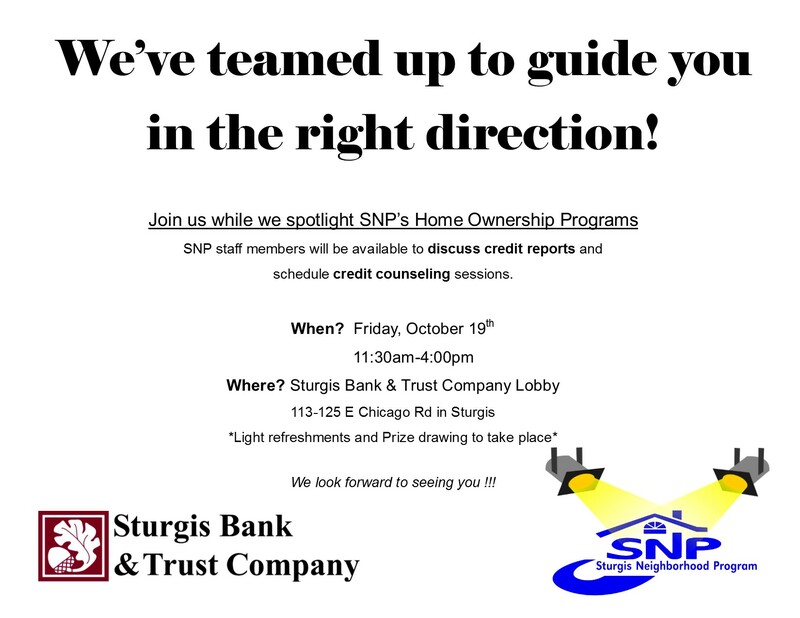 Come visit Sturgis Neighborhood Program at our Main Branch and find out how they might be able to help you! Light refreshments and Prize drawing to take place. Please join us for an open house at our new location. A ribbon cutting will be held at 4 pm.